The beautiful Laguna Beach! 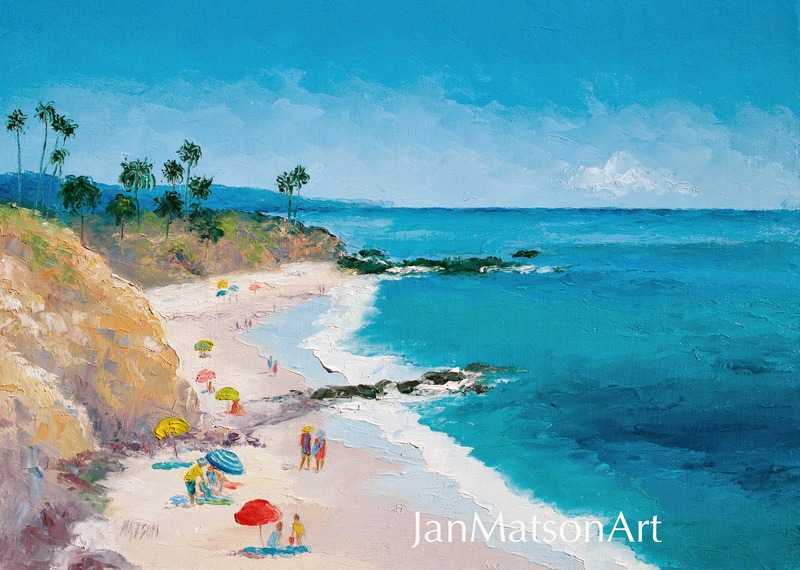 An original impressionist oil painting of Laguna Beach in California, United States, which has 7 miles of lovely sandy coastline and is famous for it's surfing, swimming, artists and photographers. 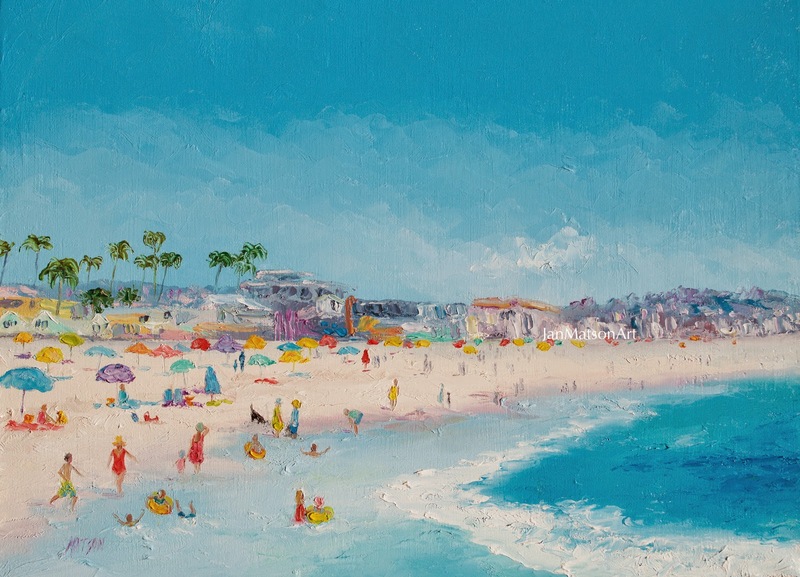 Browse over 200 beach prints from my Beach Paintings Gallery. The beautiful sunny beaches of San Diego, California, 120 miles south of Los Angeles. This is an original impressionist beach painting print, which is available on stretched canvas, framed, acrylic, metal, greeting cards, iphone cases and throw pillows. Fun and colorful beach art for the beach house, beach cottage, coastal decor or for the condo. Those halcyon summer days spent at the local creek! Whimsical landscape paintings for the kids room, living room or home decor. Available in many types of print as well as matching throw pillows and iphone cases. A bright and sunny beach painting of three children playing at the seaside. Colorful beach artwork for your coastal decor or beach house decor. Available as canvas prints, framed prints, acrylic prints, metal prints, greeting cards, throw pillows and iphone and galaxy cases. A new oil painting now available as stretched canvas prints, traditional framed prints, acrylic prints, metal prints and greeting cards. Match your floral art with matching throw pillows! Red and white roses on a black background will make a bold and colorful statement in your living room, bedroom or home decor.